WordPress hosting with staging: UK web hosting on SSD. UP TO 480 x FASTER THAN ANY OTHER UK HOST & FIRST MONTH ONLY £1. The 20i WordPress Hosting platform is 100% SSD. 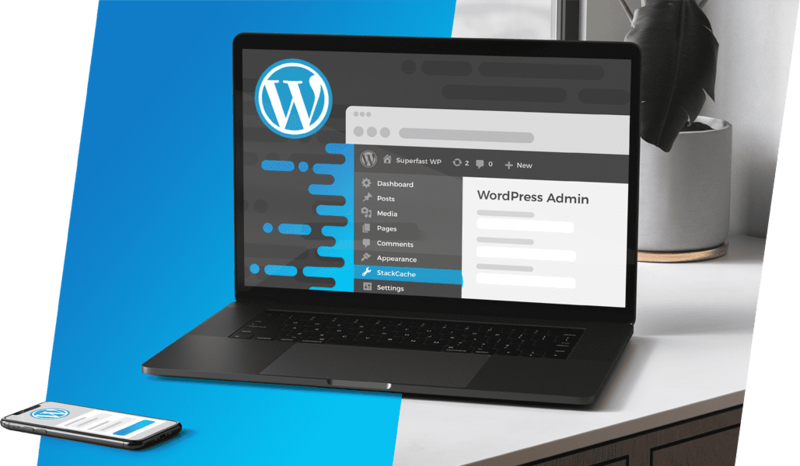 Built by our WordPress experts, it includes hosting features that you can’t find anywhere else: a website speed-focused plugin, WordPress staging, a WordPress Tools dashboard and more. Host up to 10 WordPress websites. Built for serious long-term growth. Enjoy Unlimited Access to all Platforms. Become a 20i Reseller. Host multiple sites on all three Linux, Windows, and WordPress platforms. 20i Reseller Hosting includes unlimited web space, bandwidth, mailboxes, free SSL certificates and more. See Reseller Hosting. Don’t just take our word for it, independent tests show that typical WordPress pages hosted on the 20i platform load in just a quarter of a second. This compares to other UK hosts which take up to 11.92 seconds. These tests were carried out by LoadImpact.com. Page load tests conducted by LoadImpact.com used 50 concurrent requests. They showed that 20i were up to 48x faster than other web hosts. Need to create WordPress staging sites? Want to manage all your themes, plugins and users all from one dashboard? Take advantage of 20i WordPress Hosting and these handy features are all included. A WordPress staging website is a clone of your live WordPress site, created independently on 20i staging servers. It allows you to test changes – whether that’s WordPress themes, plugins, code snippets or any other kind of change. As it’s done ‘offline’, you can afford to experiment. You can manage WordPress themes directly from the My20i control panel. It’s a fast way to bulk-update themes and activate/deactivate them at will. You can view, add or remove WordPress users. Assign and change usernames and passwords. Give them a WordPress Role or a custom role that has been created by a plugin. Change the identification of your site. Here you can manage Site Title, Site Tagline and basic URL settings. Plugins can be managed from My20i. Here you can see a full list that you can update, activate and deactivate at will. Here you start again from a clean install. Be cautious: this will remove all your data – you have to check a box to confirm that you’re aware of this. This scan checks if your core files match what exists in the official WordPress core repository. It’s a way to ensure that you haven’t been infected by malware.